Marking the passage of time is a thing we constantly do. We often revisit our younger years through visual and audio mediums, in addition to our own personal memories. Some of us tell our stories, some write it all down, most just simply think about from it to time to time. Time seems to be an underlying theme in many of David Levithan’s books. “A” only has 24 hours in one’s body in Every Day, the spirits of AIDS victims guide a new generation of LGBTQ teens in Two Boys Kissing, even Nick and Norah are in a mad dash to reach the secret concert in time. Levithan knows how to create a plot made of many special moments. They’re not always big or obvious; some are subtle, short and teasing, yet they impact the story and characters profoundly, building upon the previous moment and on to the next. So why am I talking about time, moments and all that? Because that’s what Hold Me Closer: The Tiny Cooper Story is all about! It’s about taking those big and small moments in your life and putting music and more feeling into them. It’s about sharing and receiving, and learning more about yourself in the process. Hold Me Closer is one of the most empowering Young Adult books I’ve ever read. A novel in musical form (or a musical in novel form), Hold Me Closer is Tiny Cooper’s autobiographical musical that was written and performed in Will Grayson, Will Grayson, which Levithan co-wrote with John Green. Cooper is the scene-stealing best friend in Levithan and Green’s bestselling novel, and it’s not surprising that he’s getting his own little spinoff of sorts. In Will Grayson, Will Grayson, Tiny Cooper is developing a stage musical based on his life, it includes his friends, family and 17 ex-boyfriends. We only get to read snippets of the show here and there throughout Will Grayson, but now we have the entire screenplay in our hands (with notes!) on Tiny Cooper’s musical. The first act of the musical begins with Tiny’s birth. I was serious when I said that Tiny doesn’t let any moment go to waste. He comes into this world singing his heart out, which is just the touch of ridiculous magical realism you would expect from his musical. It goes on to show his early years as he tries to assimilate with society, being the “big gay baby” that he was. He talks religion in a way you wouldn’t expect and about being accepted by his family and friends. Act 2 is all about Tiny’s quest for romantic love. That’s where the 17 ex-boyfriends parade into the story. The second act falters in some places, not holding the same emotional impact that Act 1 had throughout. However, his story begins to have more of a universal feel to it once it reaches this part, as love, relationships and all the good and bad that come with them are stuff most of us find relatable. I won’t pretend to be musical theater expert, but from my knowledge and appreciation of musicals in general, I adore the songs. The lyrics are tremendously witty, funny, and emotional. The songs are all so very Tiny, and I look forward to hearing someone put the lyrics to music soon. It was also fun to revisit some of the characters and see them from Tiny’s perspective, especially both Will Graysons. Hold Me Closer definitely adds a new facet to those characters and the overall Will Grayson story. Big or small, Tiny writes and performs about it all with exuberance and emotion. Not only is it fun seeing Tiny Cooper’s journey of believing in himself, but it’s amazing what this book helps the reader realize about his or her self. Levithan earns an excessively long standing ovation with this musical novel. Bravo! 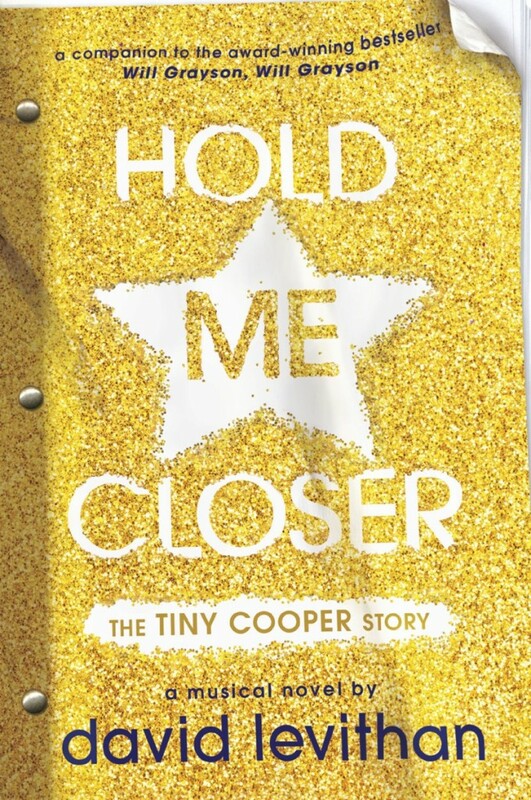 Hold Me Closer: The Tiny Cooper Story is now available wherever books are sold. Previous ArticleTV Review: Bob's Burgers (5x15) - "Adventures in Chinchilla-sitting"